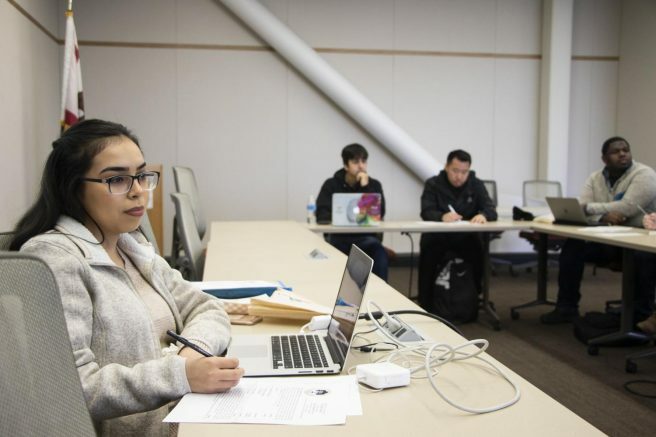 The American River College Associated Student Body met on Friday to discuss spring semester funding, and plans for spending. Last semester, a motion, introduced by Senator Eduardo Anguiano on Jan. 29, was passed to allocate up to $1,000 to be spent on expenses for Club Days and events during the spring 2019 semester. ASB has not determined how funds will be spent at this time. According to Brett Sawyer, student life supervisor at ARC, ASB also has approved funds last semester to install new water bottle refill stations, and to refurbish the old ones throughout the campus. Locations for the new fixtures are still being decided. ARC’s Election Day packets will be available on Monday, Feb. 25. All positions are available and ASB encouraged student interest and participation. Sawyer also said that the Beaver Food Pantry will reopen on Feb. 13, from noon to 3 p.m. and that it will be the last day the pantry will be distributing bags. Students are encouraged to bring their own bags. During the meeting, ASB received a public comment from a Sacramento State University student, Sandeep Singh, who requested that they work to change the current policy of not acknowledging a transgender person’s affirmed name on roll sheets. Singh said that colleges need to enforce respecting transgender rights, by calling them by their affirmed name. ASB recognized the comment and expressed interest in proposing changes. The next ASB meeting is scheduled for 10:30 a.m. on Feb. 22. Be the first to comment on "Public comment brings affirmed names to ASB’s attention"